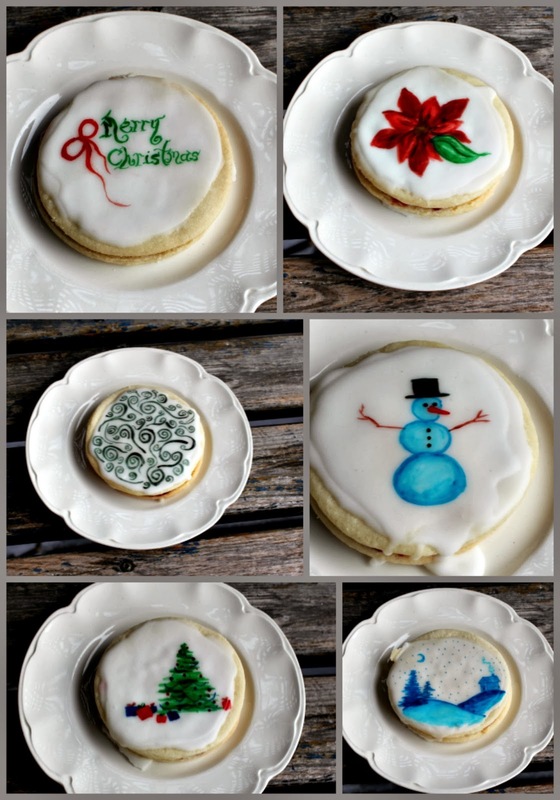 as I now have a gluten free child in the home I feel I need to at least try my favourite recipes gluten free so he can have a chance to enjoy our holiday food traditions. Luckily for him, these turned out SO well you can't even taste the difference! 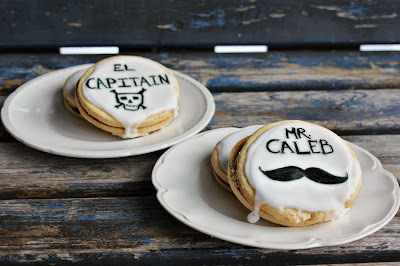 Gluten Free Crying (Empire) Cookies! Cream sugar and butter, add vanilla. Add 3 1/4 cups flour, 1/4 cup rice flour. Mix well and knead slightly. Roll out using icing sugar instead of flour to keep it from sticking. Cut as large or small as you please - I usually prefer small so I can share with more people. Bake on parchment paper lined cookie sheets at 300F for about 15 minutes. Don't let brown - they should be a little brown on the bottoms but not on the sides. 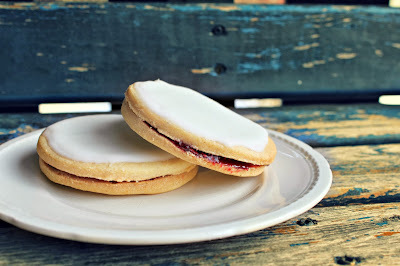 Once cooled (I usually wait until the next day), put raspberry jam in between cookies. I like LOTS of jam! Mix 1-2 tbsp soft butter with 2 cups (maybe more or less, icing is very personal ) and add the juice of a freshly squeezed lemon a teaspoon at a time until just the right consistency. You want the icing to be thin enough to spread but thick enough not to run off the sides! Spread the icing with a butter knife and let dry. These freeze really well - just freeze them on a baking tray individually for 2-3 hours and once frozen transfer them to an airtight container. WARNING - They are delicious even when frozen, nothing will stop you from eating these! I used food colouring gel to personalize the gluten free cookies. This way, at our large family gatherings no one will accidentally eat the gluten free treats, leaving those with sensitivities/intolerances without any goodies! I also "painted" some of the other cookies with Christmas themed images. Just wait until the icing is totally dry (overnight) and personalize as you need. This would be great for birthday parties, Valentine's cookies, etc. What kind of food colouring did you use to paint the cookies? I've tried before, and the colour was faint, but yours look like art! The gels are less than $2.00 a piece and you can find them in the Bulk Barn. These look incredible! What do you mean by "fruit sugar"? Im confused. ...how you like them! My phone is adorably old and wouldn't let me finish that sentence.